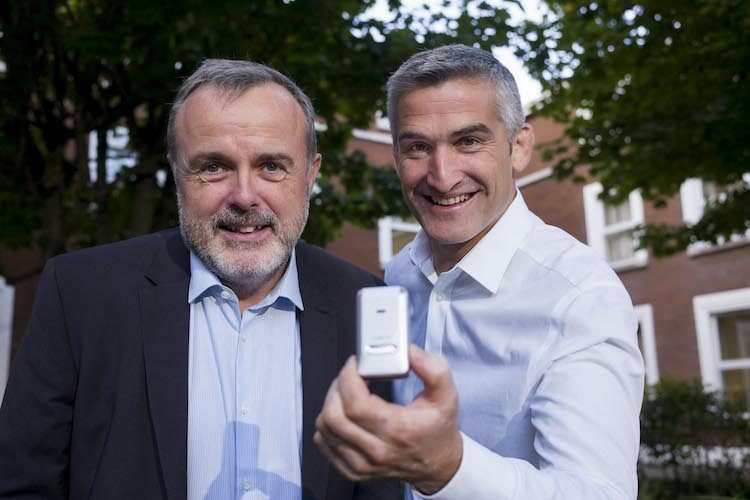 Pictured announcing that Ward Solutions has helped medtech company, Motech, secure ISO 27001 accreditation are (L-R) Pat Larkin, CEO, Ward Solutions and Paul Flavin, CEO, Motech. Ward Solutions, Ireland’s leading information security provider, today announces that it has helped medtech company, Motech, secure ISO 27001 accreditation. The certification will give Motech’s customers the peace of mind that their data is safe and secure and will help the company grow its business in the coming years. As more and more medical organisations migrate to digital, data security is of paramount importance. Research conducted by McKinsey indicates that more than 75% of all patients expect to use digital services in the future. Motech realised that in order for the company to continue to grow and develop, it would be necessary to become ISO 27001 certified as soon as possible. Motech approached Ward Solutions to avail of its ISO 27001 consultancy offering. Founded in 2012, Dublin-based Motech specialises in developing mobile and digital solutions that support mobile care and assisted living. Ward Solutions worked closely with Motech to guide the company through the complex certification process. The team performed an audit of Motech’s security processes and provided comprehensive advice on how to achieve compliance. Ward’s consultation proved effective and Motech is now ISO 27001 certified. The certification will give Motech an advantage in an increasingly competitive medtech industry, which now employs 27,000 people across 400 companies in Ireland. In order to ensure that the company remains compliant, Ward Solutions will continue to monitor Motech’s processes and will meet regularly to go through related documentation and ensure that the requisite standards are met. Paul Flavin, CEO, Motech, said: “Achieving ISO 27001 is hugely important to all of us at Motech. It provides our customers, the large Service Providers, with the reassurance that the service user’s data is managed and held securely. As a healthcare technology company the accreditation is extremely important for the future development of our business, as it displays our professional approach to information security to potential customers and partners. Pat Larkin, CEO, Ward Solutions, said: “The team at Ward Solutions is delighted to have been able to provide effective consultation to Motech, and ensure that the company received the ISO 27001 accreditation. This will assure customers that their data is in good hands, and will also help the company to attract other business partners. Previous ArticleThe NDRC announces Spring 2018 Investment Programme for startups.